Pasternak, D. (2007). Is Technology Used as Practice? A Survey Analysis of Preservice English Teachers’ Perceptions and Classroom Practices. 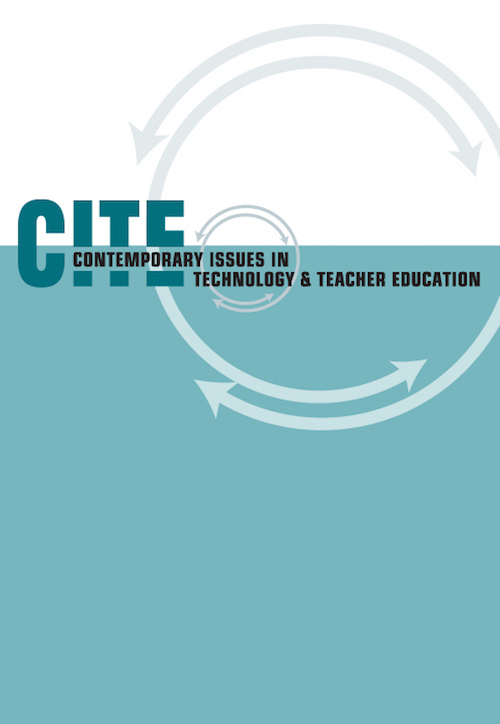 Contemporary Issues in Technology and Teacher Education, 7 (3), 140-157. Waynesville, NC USA: Society for Information Technology & Teacher Education. Retrieved April 26, 2019 from https://www.learntechlib.org/primary/p/24232/. Bruce, B. & Levin, J. (2003). Roles for new technologies in language arts: Inquiry, communication, construction, and expression. In J. Flood, D. Lapp, J.R. Squire, & J.M. Jensen, (Eds. ), Handbook of research on teaching the English language arts (pp. 649657). Kingen, S. (2000). Conversations from the commissions: Sorting treasures from trash: Technology and English education. English Education, 34, 329-332. Swenson, J., Young, C.A., McGrail, E., Rozema, R. & Whitin, P. (2006). Extending the conversation: New technologies, new literacies, and English education. English Education, 38(4), 351-369. Stotsky, S., & Mall C. (2003). Understanding research on teaching the English language arts: An introduction for teachers. In J. Flood, D. Lapp, J.R. Squire, & J.M. Jensen (Eds. ), Handbook of research on teaching the English language arts (pp. 135-138). Young, C.A., & Bush, J. (2004) Teaching the English language arts with technology: A critical approach and pedagogical framework. Contemporary Issues in Technology and Teacher Education [Online serial], 4(1). Retrieved August 2, 2007, from http://www.citejournal.org/vol4/iss1/languagearts/article1.cfm.